^ Minthe, Caterina. Interview: Italian-Algerian Film Director Luca Guadagnino. Vogue Arabia. Condé Nast. [2017-12-26]. ^ Toto, Christian. Interview: 'I Am Love' director Luca Guadagnino. The Washington Times. 2010-07-01 [2010-10-25]. ^ Pulver, Andrew. A Bigger Splash director: ‘Italian cinema is mostly a bureau for tourism’. The Guardian. 2016-02-04 [2017-04-30]. 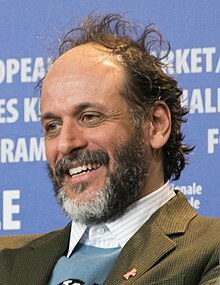 ^ Luca Guadagnino. Purple.fr. [2017-04-30]. ^ Thomas, Dana. One Italian Filmmaker’s Ultimate Set — His Own Home. The New York Times. 2016-08-01 [2017-04-30].